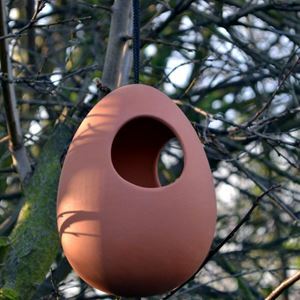 Our nature inspired & UK-made terracotta wall mounted bird feeder will prove very popular with birds & bird watchers alike. 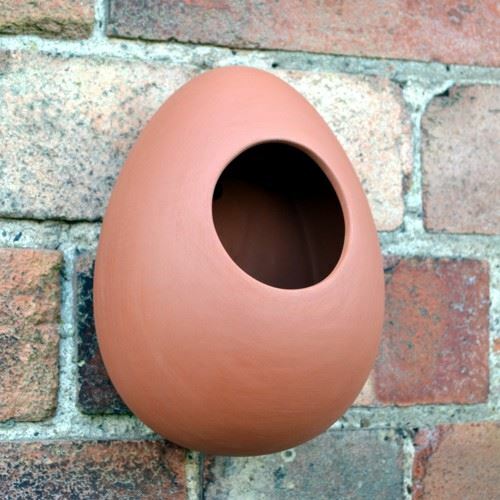 Attractive & practical egg design, this wall mounted bird feeder has been designed for hanging on walls, fences & pergolas wherever you choose around the garden. 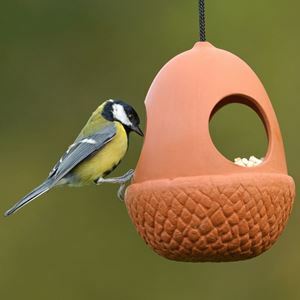 There are 3 small drainage holes in the base of the feeder to prevent water-logging.